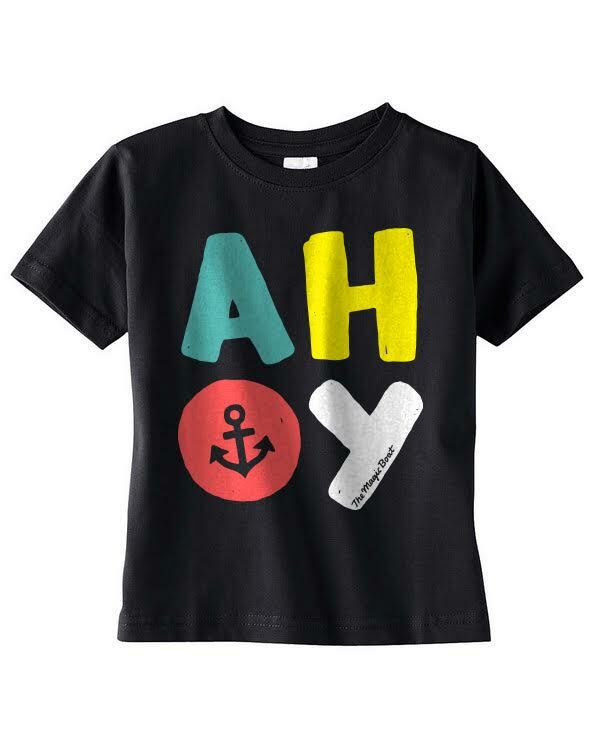 “Ahoy” is a word sailors use to greet one another, and it’s the perfect message to meet new friends; whether you're on the playground, or the yacht. This shirt was voted “Best Design” by our fans, and was hand-printed in Chicago, IL. 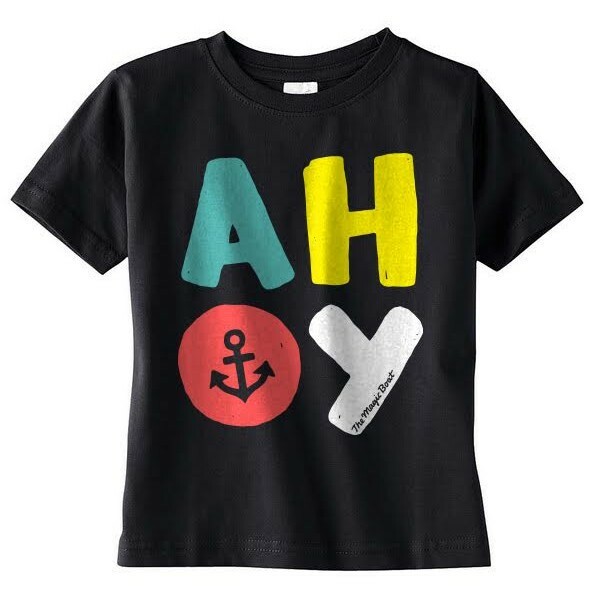 Start saying “Hey Friend!” in a new way with your authentic apparel from The Magic Boat. Simple but stylish, this black Rabbit Skins Toddler T-Shirt was hand screen printed in Chicago, IL and comes in four sizes (2T, 3T, 4T, and 5/6).